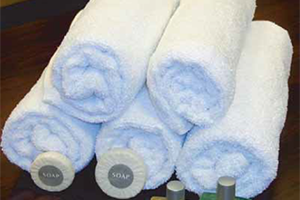 Order Your Hotel & Linen Supplies Today! If you’re interested in ordering some of our textiles for your company, call us at (913) 660-0995, or email us at info@ustextilesonline.com. We’re also happy to answer any of your questions about specific products, resolve any concerns you might have about not being able to find something you’re looking for, or address any other issue you might be facing regarding our products and services. Even if you’re just looking to learn more about what we offer, we are here for you. U.S. Textiles keeps a large inventory in stock, though every once in a while a shortage will occur for some items. We make it our policy to fill back orders as soon as the goods become available. Virgin 100% cotton. 10’s open end yarns. Finished in a modern softflow machine for optimum whiteness. Unbale and was the product since the piles have been super compressed. 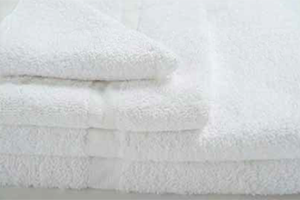 After drying the towel fluffs up. Priced by the dozen, sold by the bale for economy and value. Virgin 16’s 86% cotton/14% polyester. Open end yarns finished in a modern softflow machine for optimum whiteness. 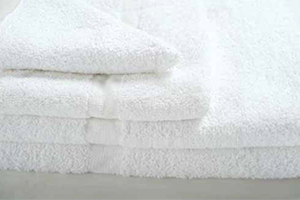 Towels are super compressed for economy of freight and shipping, just wash and fluff. Priced by the dozen, sold by the bale for economy and value. Virgin 86% cotton/14% polyester yarns. Finished in a modern softflow machine for optimum whiteness. Perfect for the customers who want an exceptional combination of quality and durability for an excellent value. Priced by the dozen, sold by the bale for value. Terry loop absorbent. 12 ounce. Ringspun cotton. Priced per single unit. Sold by the case for economy of freight.